"I wonder what games I can play with just my left hand?" writes Masahiro Sakurai, designer of the Kirby and Super Smash Bros. series, in his Weekly Famitsu column. Get your mind out of the gutter; this is serious. Over the past several weeks, Sakurai has written in his column about his condition which has been affecting his right arm—and how this condition might negatively affect the new Smash Bros. game's development. Sakurai is currently suffering from calcific tendinitis in his right shoulder. His symptoms began last October, and while he refrained from mentioning it in his twitter feed to avoid causing alarm, his condition has since not improved. In this week's issue of Weekly Famitsu, Sakurai writes that multiple ruptures in the muscles of his arm have now been detected. He is presently suffering from pain in his upper arm as well as a chronic dull pain in his elbow, and fatigue in his forearm and flexor digitorum superficialis (a forearm muscle). The pain is so bad that it often wakes him at night and prevents him from getting enough rest. While he has been restricted to a left hand-only lifestyle at home and his doctor has told him to refrain from using his right arm and right hand, sadly his work in video games pretty much requires that he use both arms. "I go to work every day, and in order to give instructions and conduct testing, heavy use of a keyboard and game pad are necessary," Sakurai explains. "I use a game pad for test playing games as well as controlling the camera in the debug mode to check the graphics." Sakurai's job as a game director is not an easy one. Every day involves overseeing development, meetings, working on other proposals as well as going on business trips. It's only after he has dealt with the other items on his plate that he can focus on his own work, and as a result, he is constantly short on time. While before his injury, Sakurai would make up for lost time by working on weekends and holidays, with a difficult, and in the worst case, potentially permanent condition like this, he finds himself between a rock and a hard place. 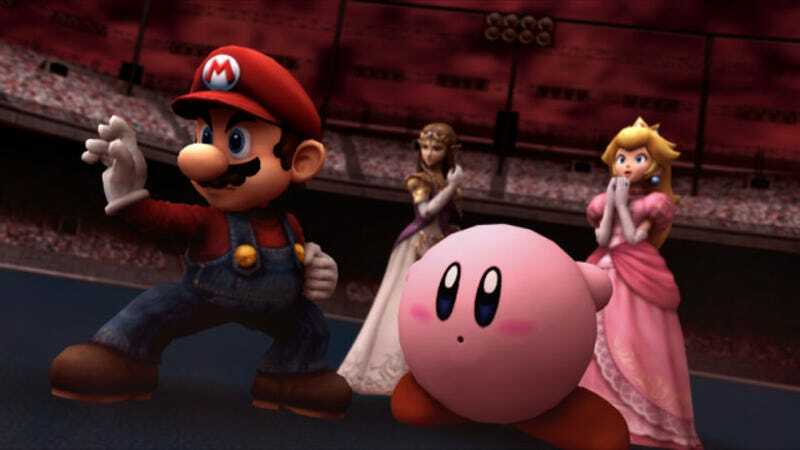 "Normally, I'd like to get as much of a lead as I can with all the numerous parameters that need to be input for the development of the next Smash Bros. game. But now is a time for patience," Sakurai writes. "If my condition were prolonged or never heals, there's no telling how the project would be affected." The best of luck and a speedy recovery for Sakurai.